Our Brazilian moved heaven and earth to secure a Nou Camp switch during the summer, but Liverpool stood firm and rejected their continued advances. Coutinho therefore stayed at Anfield, although injuries have somewhat disrupted his campaign. Coutinho will play for Brazil v England on Tuesday evening. 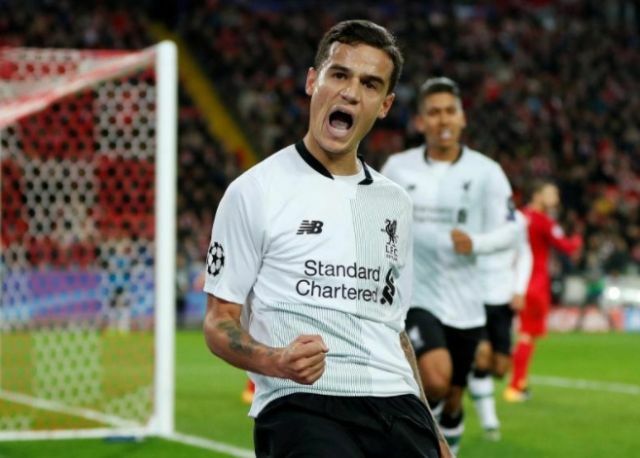 “I’m playing in one of the biggest leagues in the world,” Coutinho told Sky Sports. The 25-year-old claimed he’s completely over his thigh problem and is 100% ready for Brazil’s fixture with England at Wembley on Tuesday. “I’m 100% fit,” he continued. “I had an injury and I missed three matches but now I’m coming back and I’m 100% ready for this match. We’re not reading too much into Coutinho’s comments, in truth. It’s mid-November, which means even if he is moving to Barca on January 1, he still has 12 Liverpool games to navigate before the New Year. We don’t think we’ll consider offloading Phil in January of course, meaning he has to stay in the good books until next summer. This is when we assume Coutinho will be offloaded, for a likely whopping price. If we wait until near the end of the 2018 window, after the World Cup, transfer fees could have hiked to insane levels.